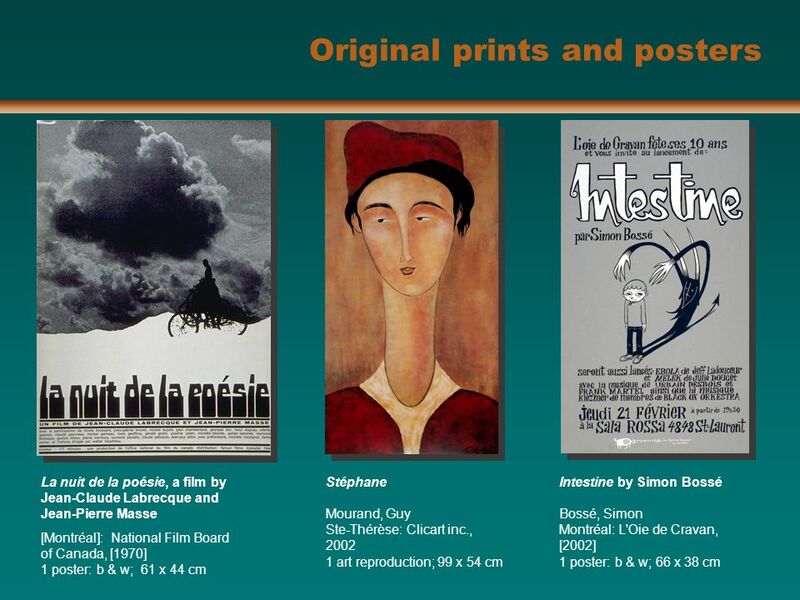 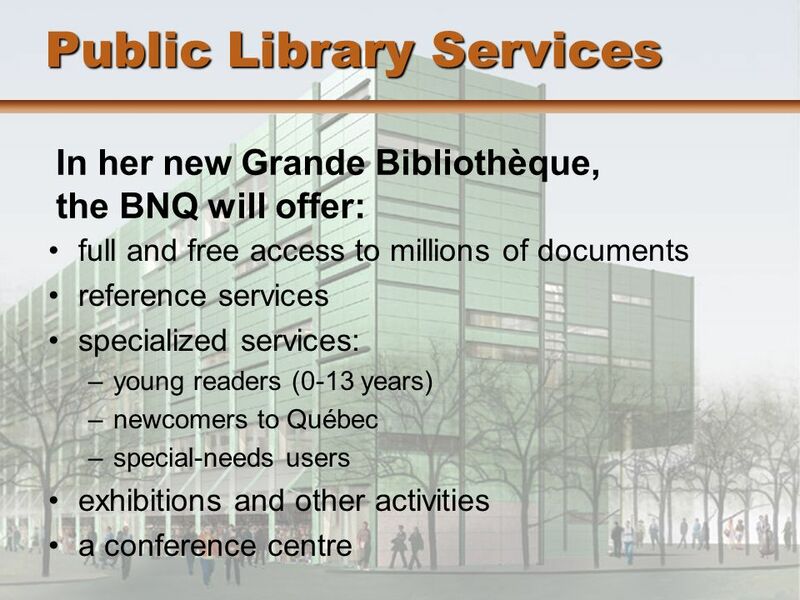 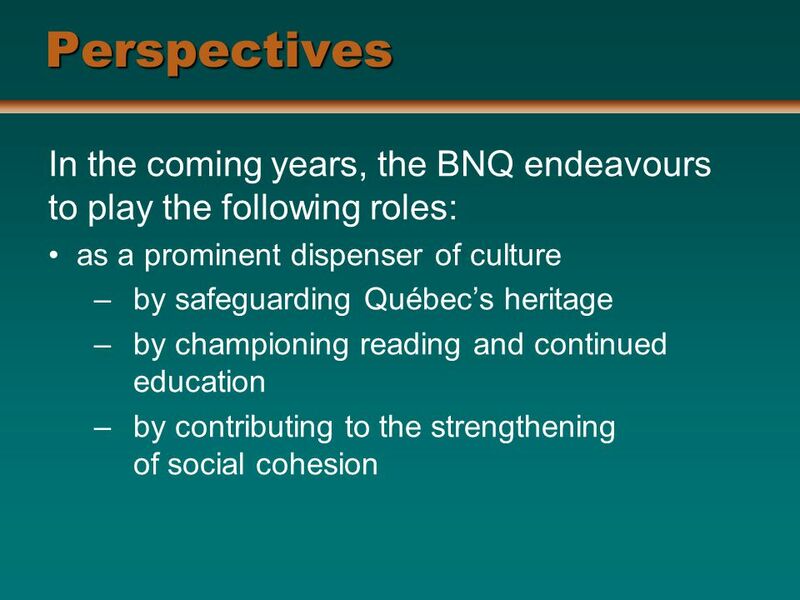 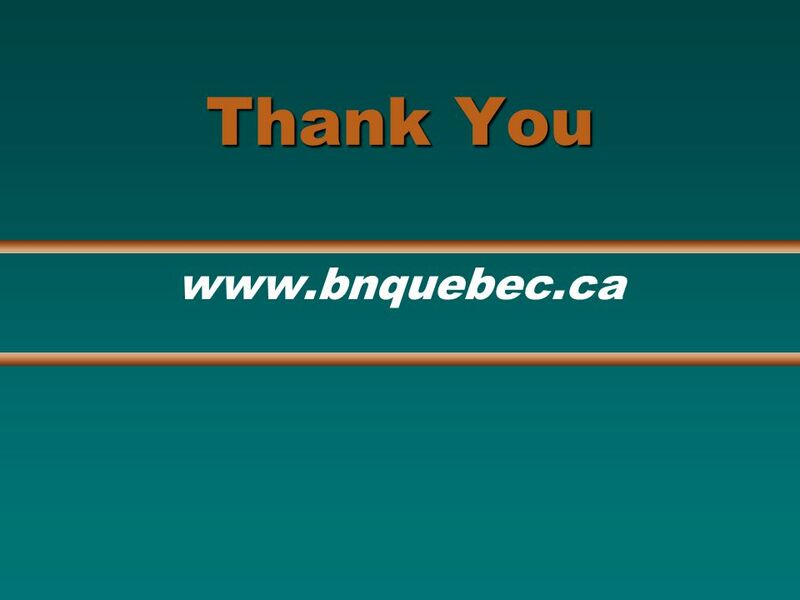 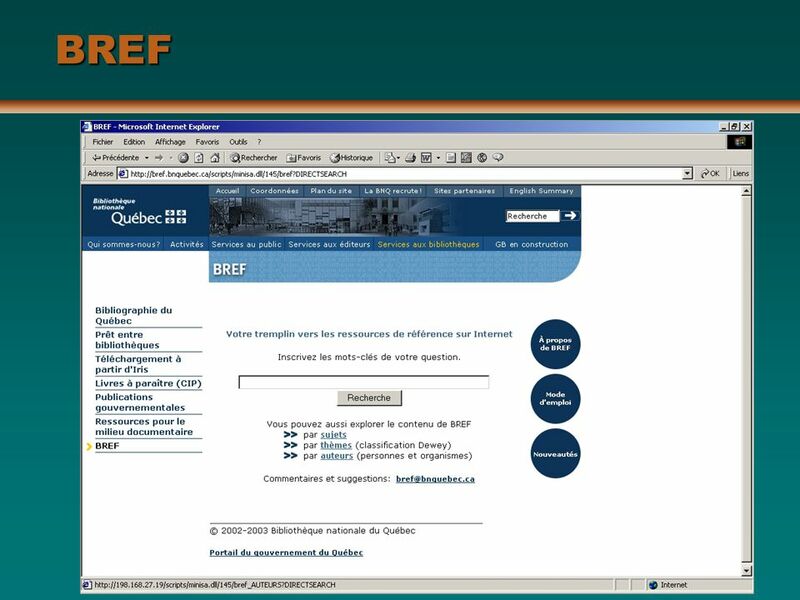 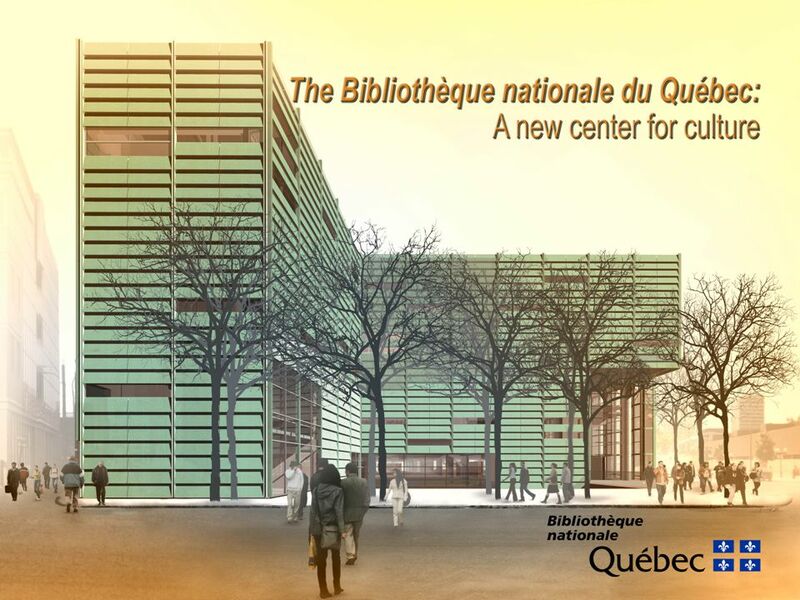 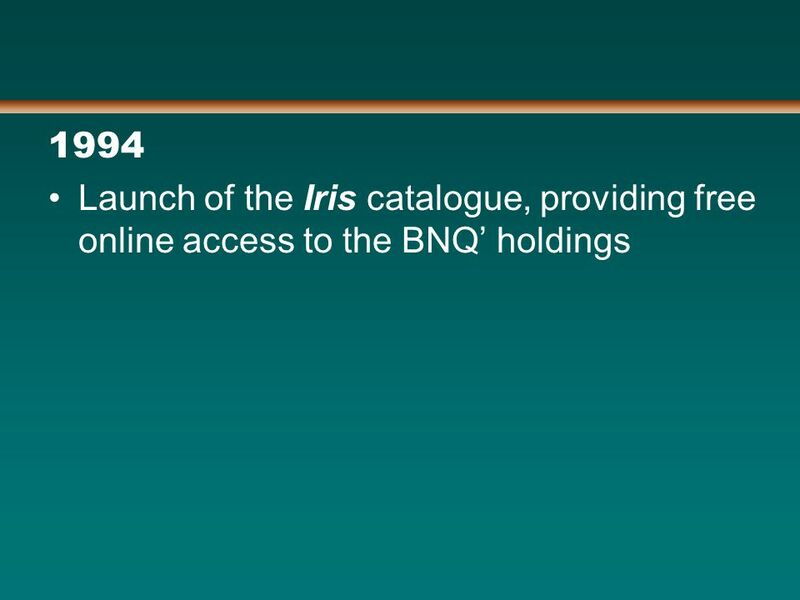 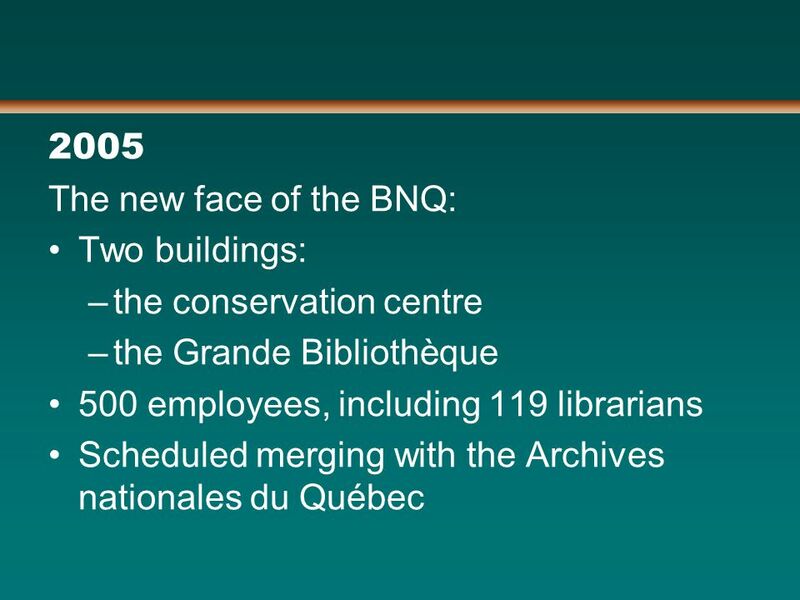 Download ppt "Background 1967 Creation of the Bibliothèque nationale du Québec (BNQ). 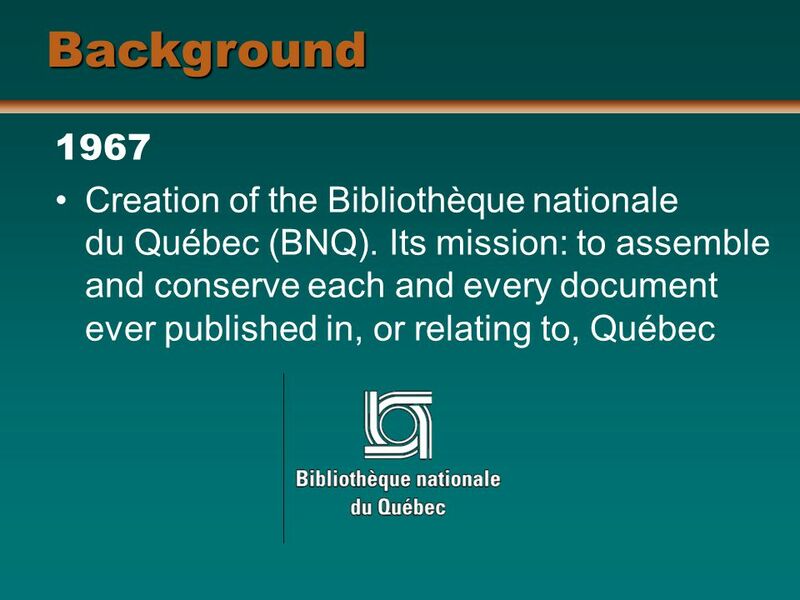 Its mission: to assemble and conserve each and every document ever published in,"
LIBRARY & ARCHIVES CANADA Canadas Knowledge Institution for the 21 st Century Presentation to the Conference of Directors of National Libraries August. 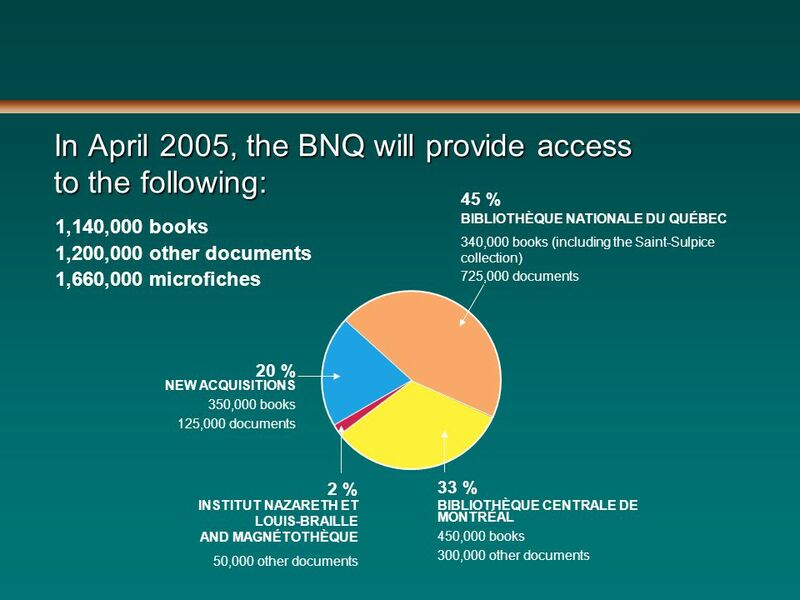 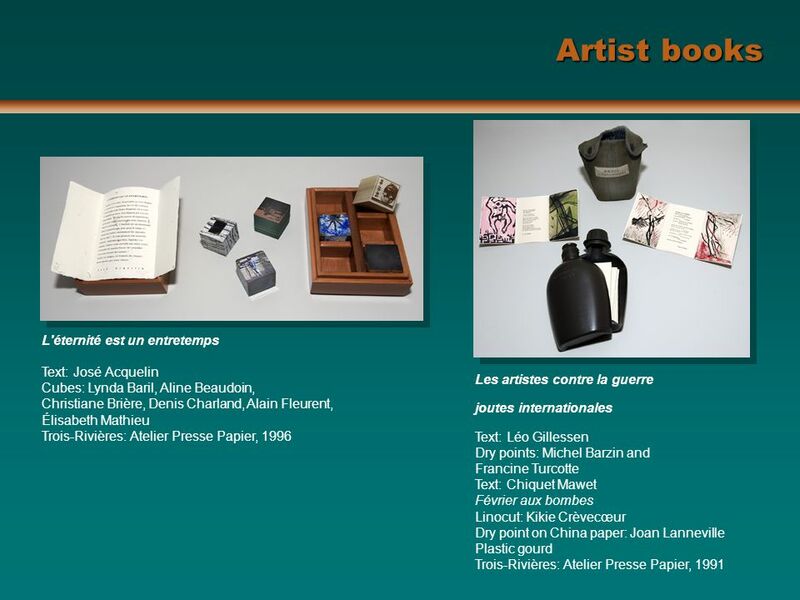 The Réseau francophone des bibliothèques nationales numériques A Unique Tool Furthering Cultural Diversity CDNL 2009 Milan. 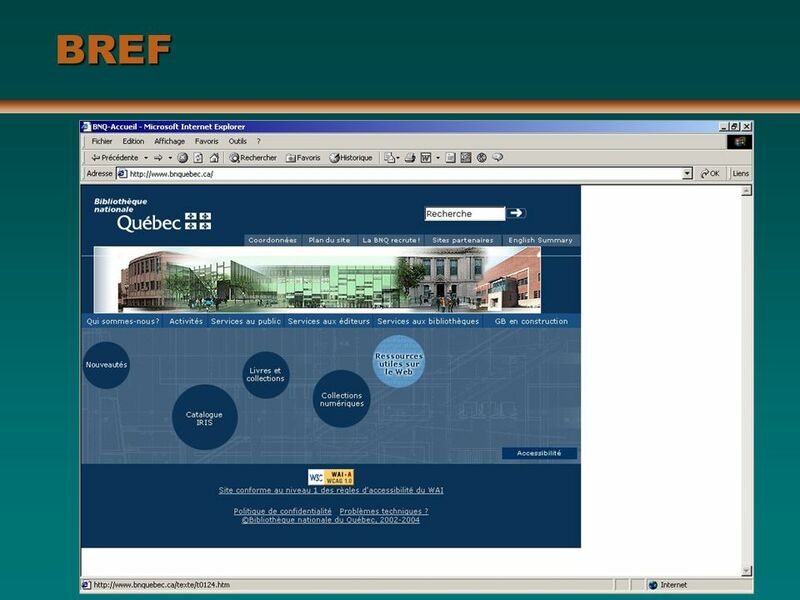 Marine information management in UNESCO-IOC-ODINAFRICA Paul Nieuwenhuysen Vrije Universiteit Brussel, and University of Antwerp, Belgium Presented at. 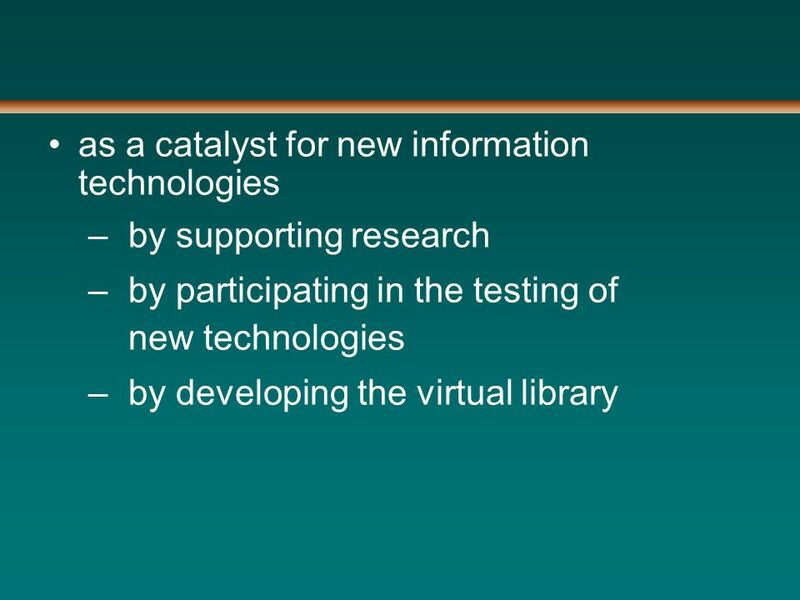 Providing collections, tools and services for digital humanities A national library perspective Clément Oury Head of Digital Legal Deposit Bibliothèque. 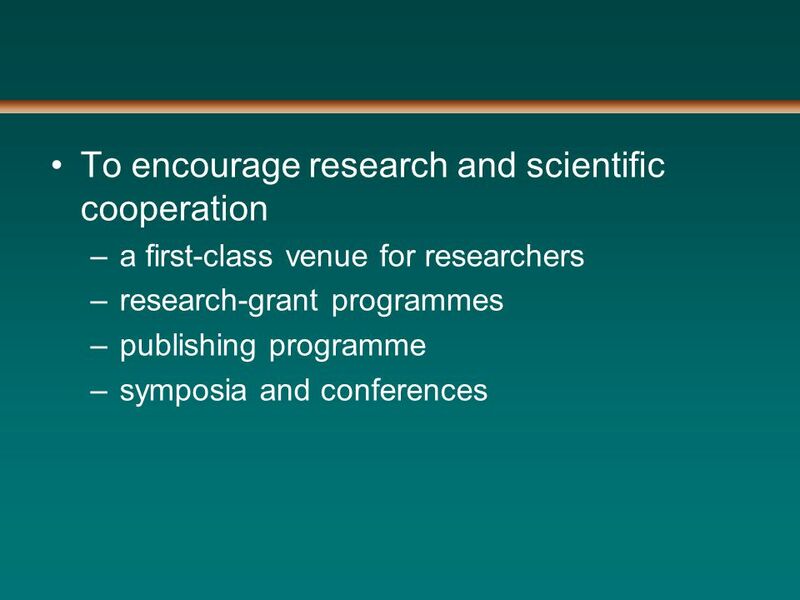 2 in 1: Combining the Seemingly Uncombinable Vaiko Sepper Inspire and Transform: Regenerating Services Peebles, 3-5 June 2008. 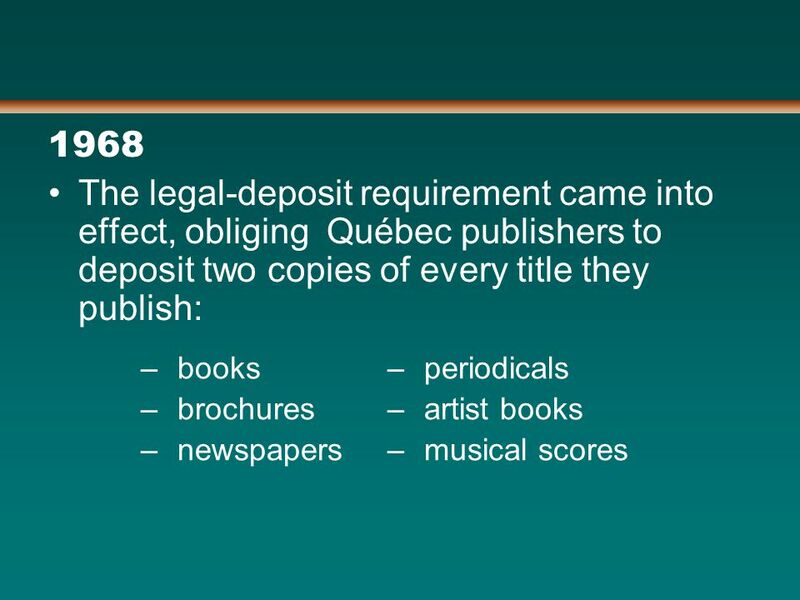 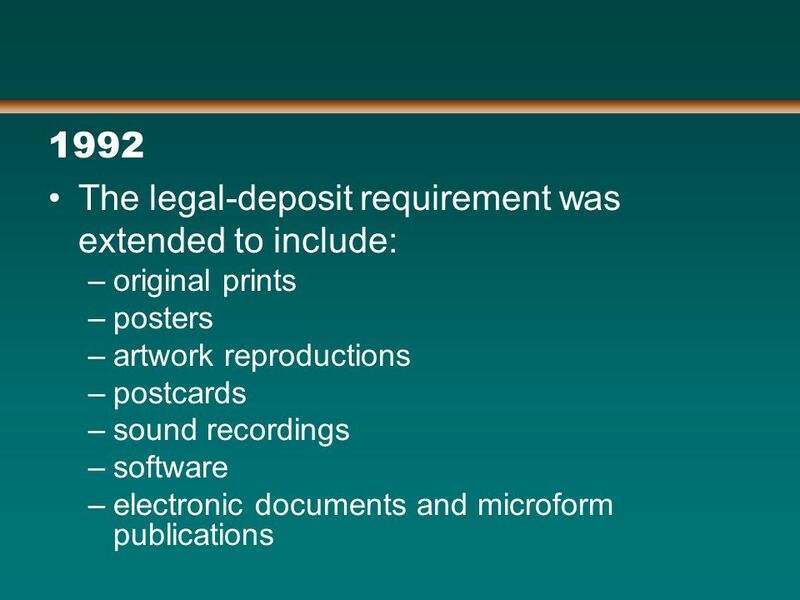 Legal Deposit and the Internet Reconciling Two Worlds ECDL2001 Workshop September 8 th, 2001 « What’s Next for Digital Deposit Libraries ? 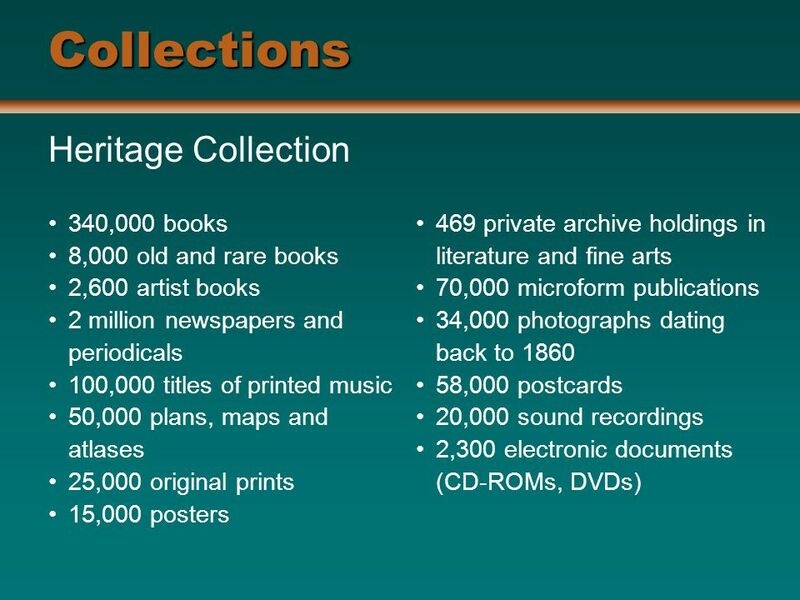 Preserving Online. 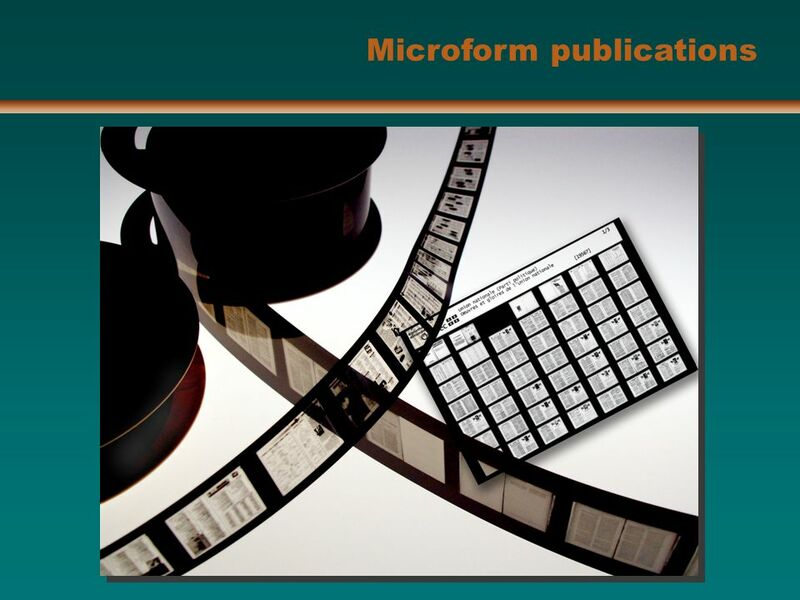 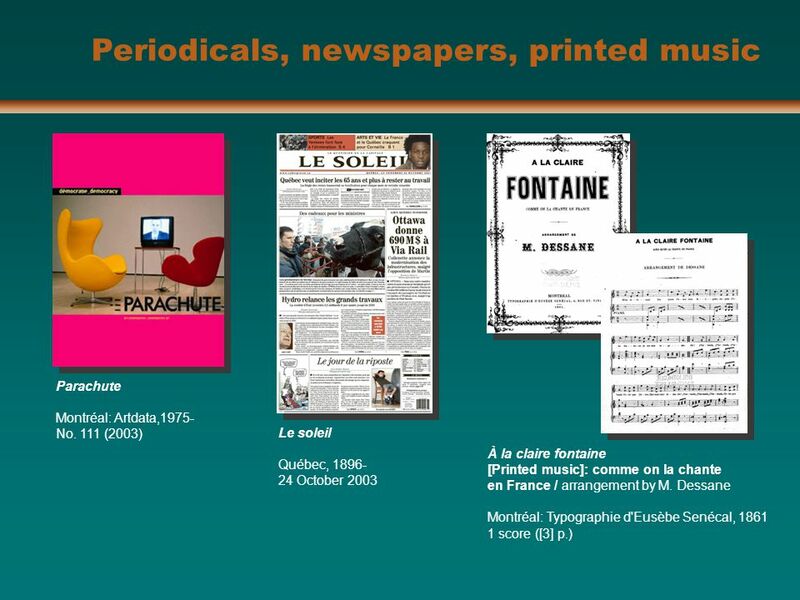 14 mai 2007Evolution of Scientific Publications, Colloque de l'Académie des sciences1 Preservation of electronic publications mission Catherine Lupovici. 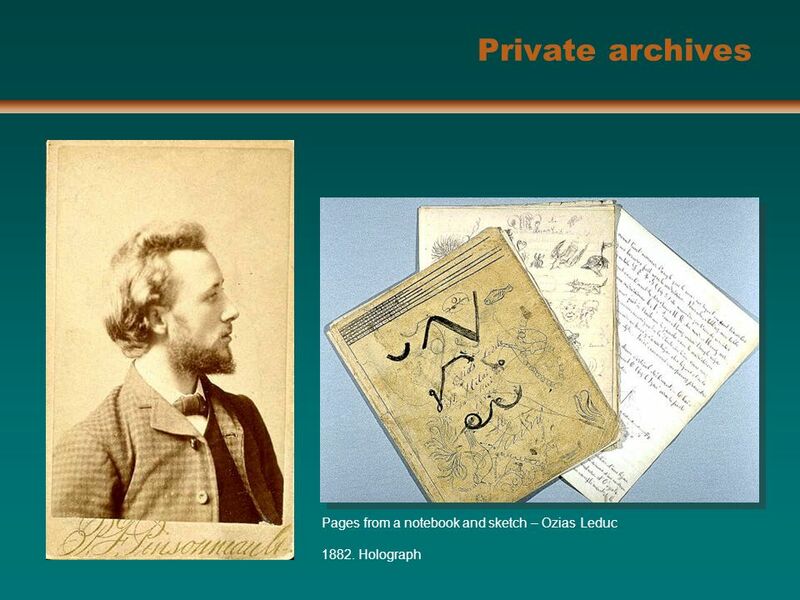 An introduction to the work of the Scottish Archive Network Internet access to the written history of Scotland. 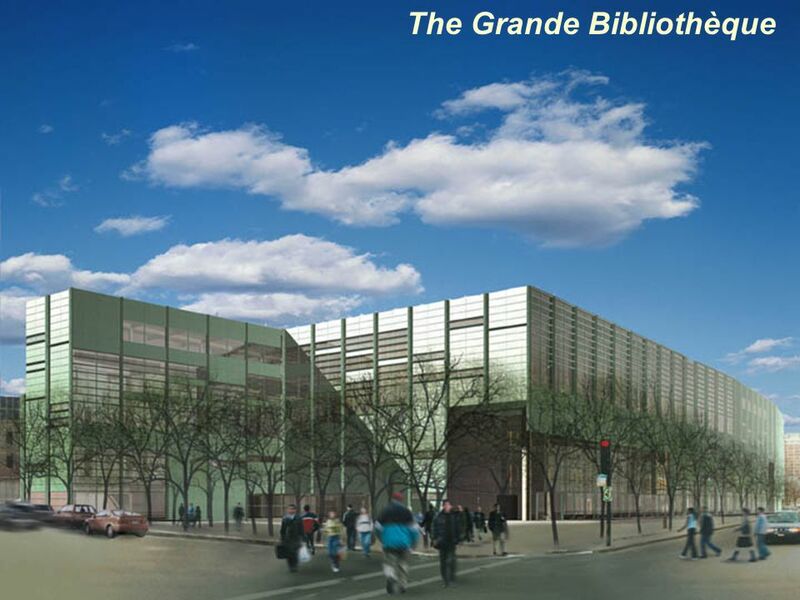 Welcome to the Louis J. Blume Library at St. Mary’s University! 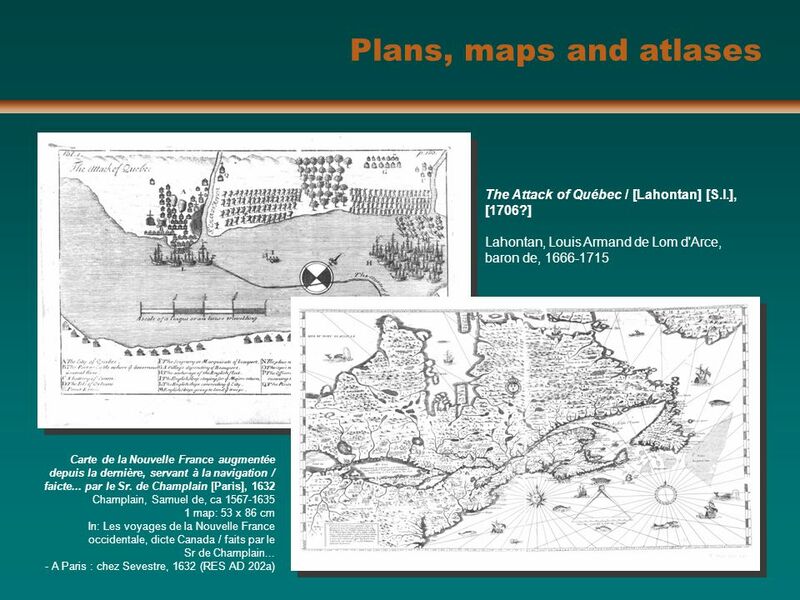 Europeana.eu: cultural collaboration across borders and domains Jon Purday Senior Communications Advisor, Europeana The 12th Annual International Conference. 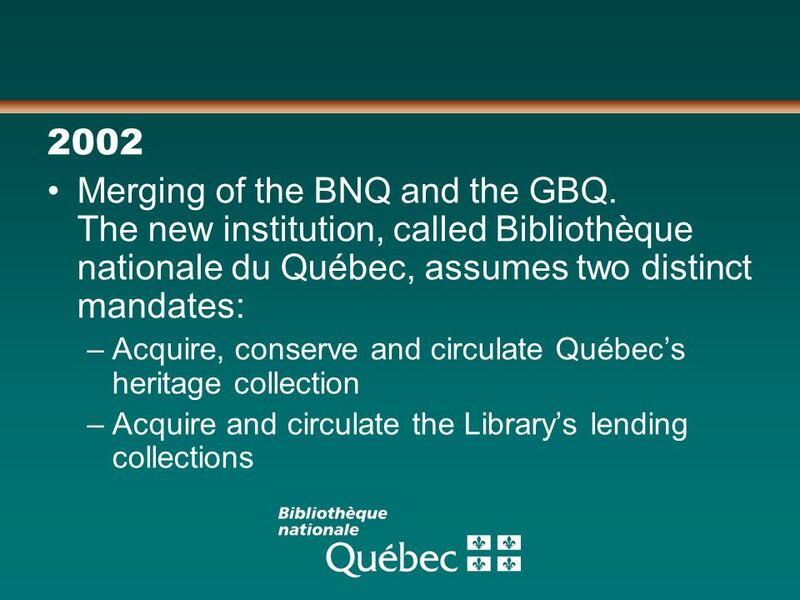 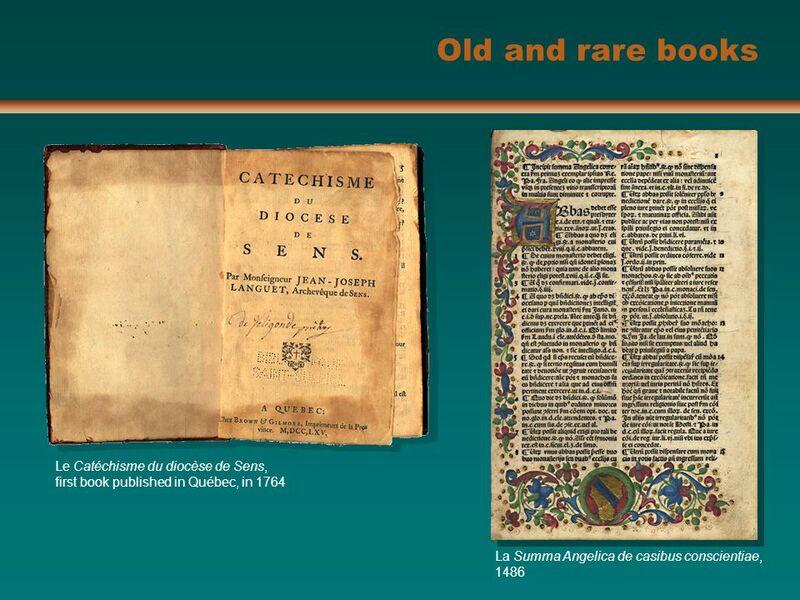 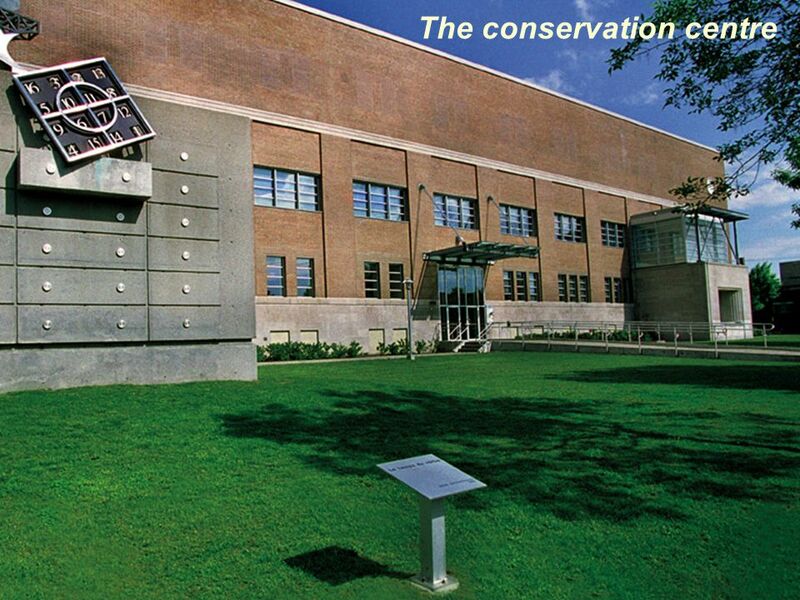 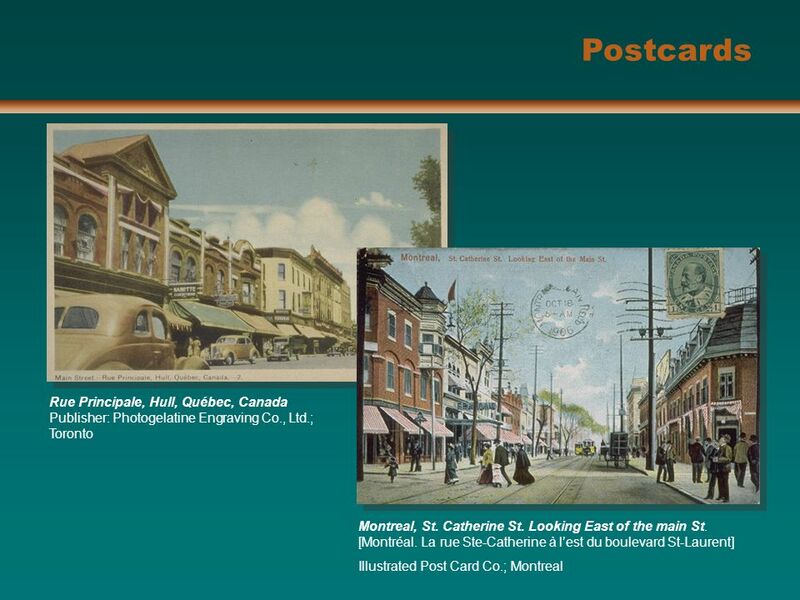 Canada, Two National Bibliographic Agencies, Two Approaches Pat Riva Direction du traitement documentaire des collections patrimoniales. 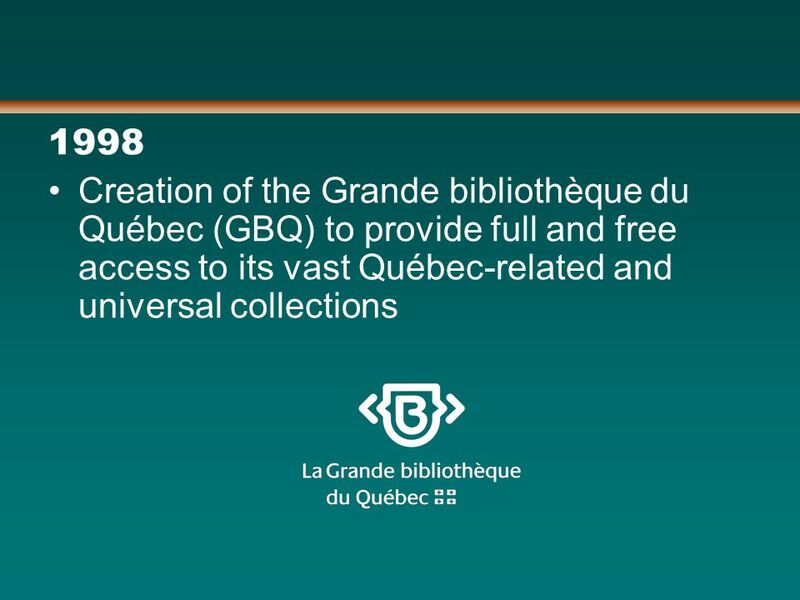 Meeting of CAUL/CONZUL and CREPUQ Sub-Committee of Libraries Montréal, Québec, October 10, 2001 October 10, 2001 A Research Digital Library : a Proposal. 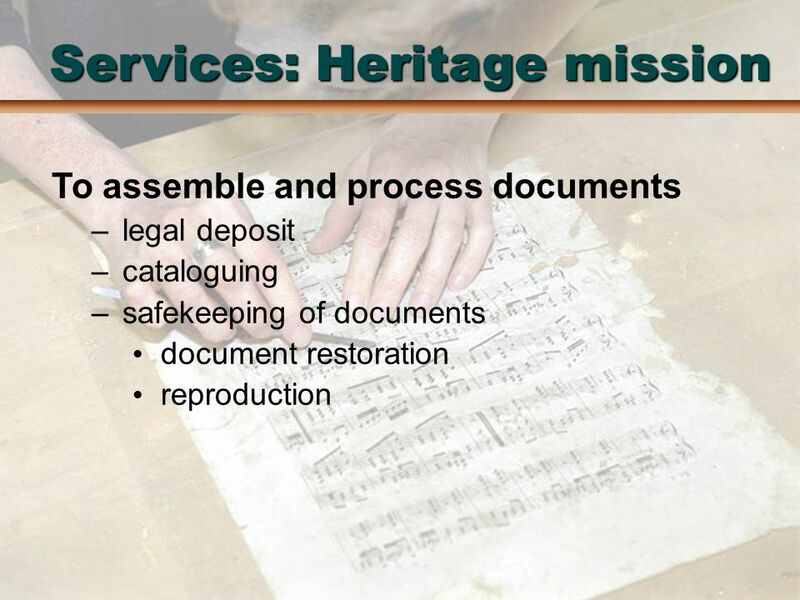 Access, Ownership and Copyright Issues in Preserving and Managing Cultural Heritage Resources International Conference on Challenges in Preserving and. 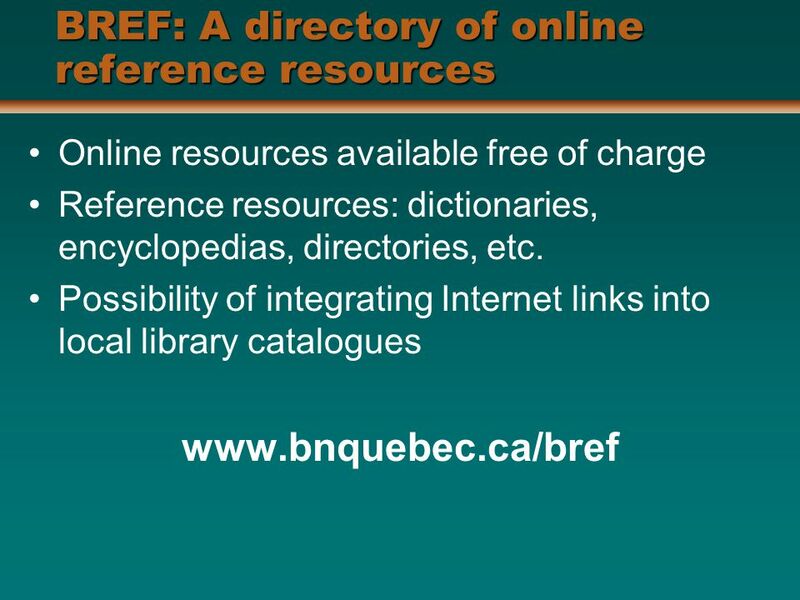 1 1 Susan Haigh Digital Library of Canada Task Force For JISC/CNI, June 2002 Toward a coherent digital information environment in Canada: Limping, lurching.